Quest remains locked in on the northeast end of Lake Ontario. 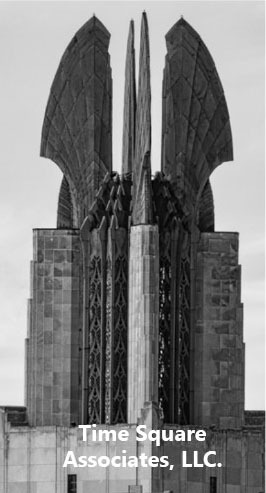 Her newfound base of operations at the Lennox power station is obvious for its dual smokestacks, but now we hear that there is also a nest box installed at the facility. We have no way of knowing whether she’s using it, but it seems likely that Quest has at least given the box a look. There aren’t any cameras installed, but we’re hopeful someone may soon spot her at the plant. Another attraction for Quest may be the 120-acre wetland on the plant’s grounds. The Lennox folks received the Wings Over Wetlands award from the Wildlife Habitat Council and Ducks Unlimited, Inc. in 2008. Read more about it in their newsletter. Thanks to Falconcam fan Chrissy for the link! An active wetland full of migratory birds and waterfowl combined with tall smokestacks overlooking the lake sounds like a nearly perfect habitat for Quest. It’s no wonder she’s decided to stick around! It certainly looks like Quest is settling in near Kingston, Ontario. With the exception of a quick visit to Olcott, New York on the 30th of October, she’s been pretty consistent in her movements north of Lake Ontario. So it seems, for the most part, Quest will be a guest of our friends in Canada for the time being. 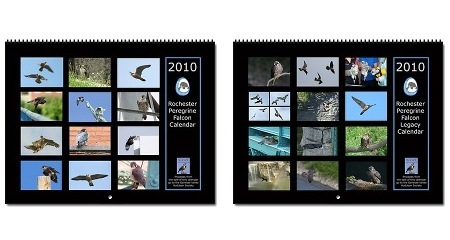 This year the Rochester Falconcam is pleased to offer two calendars for 2010, just in time for holiday gift buying! The Peregrine Falcons of Rochester calendar features pictures of falcons new and old that have graced the Rochester skies in the past year. The Rochester Peregrine Falcon Legacy calendar includes Mariah, Kaver and their offspring. Each month you’ll be greeted with a classic image taken by one of our talented local photographers. That’s 24 pictures in all, each accompanied by an informative caption. Don’t wait! Click over to The Scrape and order your 2010 calendars today! You are currently browsing the Imprints blog archives for November, 2009.